As we saw in this weekend’s Super Bowl, defence usually prevails. There are quite a few similarities between the Broncos and this year’s edition of the Ducks. They both have some of the best defence squads in their respective leagues. The Ducks have been first for the past month in goals against, but this slight dip is nothing to worry about. Having Simon Després and Cam Fowler come back to lineup will have the Ducks flying high again atop the defensive stats. Després fills a void of a defenseman that can play very solid defensively, but also give a good first pass out of his zone. Fowler is the Ducks Mr Everything from the blue line. He can log 20 to 25 minutes on any given night and can play in any situation. He is a calming presence on the back-end. Much like the Broncos, the Ducks have been great of late at keeping the play in the offensive zone. Other teams can’t really score too much if the puck is in their own zone. Makes sense, right? 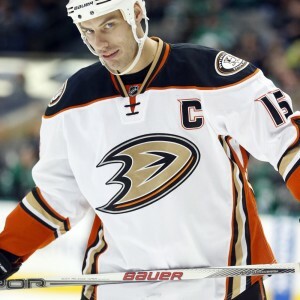 The Ducks have some big forwards that have been working hard at that with players like Corey Perry, Rickard Rakell, Ryan Kesler, Patrick Maroon, the resurgent Ryan Getzlaf and a few others. If the forwards lose their battles along the boards, the defence is always ready at the blue line to retrieve loose pucks and keep it in the zone. Getzlaf, much like QB Peyton Manning, had a tough start to the season. But he has responded nicely since being separated from longtime buddy Corey Perry. He now centres a line between Chris Stewart and David Perron. His demotion adds more scoring throughout the top three lines and makes other teams pick their poison when playing the Ducks. You haven’t seen Getzlaf committing nonchalant turnovers anymore. He’s a lot more engaged in the game and we’ve even seen get into scraps with other teams. He’s playing like a man possessed. Exiting last season’s playoffs in Game 7 of the Conference Finals against the eventual Cup-winning Blackhawks is be pretty sour. But having your team start the season in the NHL basement and struggle for some offence is darn right rancid. Since the Ducks shutout loss to the Maple Leafs on Jan. 6, Getzlaf has picked up at least an assist in nine of the 11 games since then. He has one goal and 10 assists during this stretch. This is the Ducks team everyone was expecting to see since the beginning of the season. It took a little while for them to find their stride, but the Ducks are looking like a team nobody should want to play in the playoffs. Barring any outrageous surprise, the Ducks will make the playoffs. I even believe they can creep up on the Kings and take this division back. The sky is truly the limit with this team. I don’t even think Chicago wants to face them again.